A three-day prayer and reflection retreat for Christian women. Monday at 12:30 through noon Wednesday, at the Chapel Rock Camp & Conference Center in Prescott, Arizona. The Springs Retreat is flexible as it is intended to be a private retreat with various options so you can design your own retreat. When we spend time with the Lord, we come to know His love more deeply and find out that His love is all we really need. The Arizona Springs has a Twitter account and can be found using @azsprings1. We also use the hashtag #arizonaspringsretreat on Facebook and other places. Follow us. At the Springs we will gently move from whole group times of worship to individual times of on our own. We will worship in a beautiful chapel first thing in the morning, before each meal and to close our day with singing and short devotional thoughts from Scripture. We will talk about how to use journaling to reflect on our lives and the Word. We will pray with a small group of women. We will have hours to spend as we choose. This retreat has been held for twenty years in California, and this is the second year we are offering it in Arizona. Everyone coming to this retreat for the first time will be on Track 1. Women will be introduced to prayer and reflection retreats and provided a structure for their private retreat. Women who have attended the Springs retreat in 2017, can select to be on Track 2 (Luann Budd will be leading 2 session with a focus on a particular spiritual practice), or Track 3 which gives participants complete flexibility to design their own retreat. 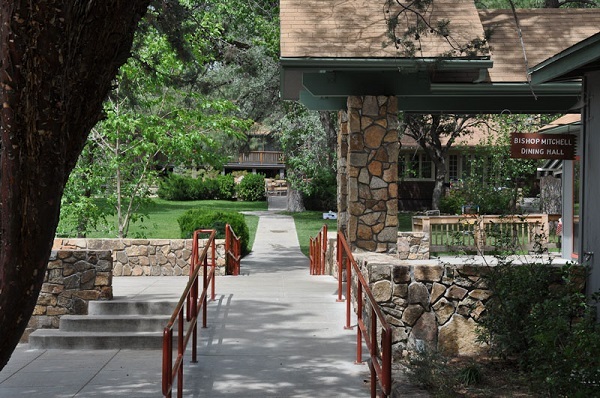 Chapel Rock is a retreat and conference center owned and operated by the Episcopal Diocese of Arizona. It is 100 miles northwest of Phoenix and just minutes from downtown Prescott. The climate is characterized by mild sunny days and crisp cool evenings. 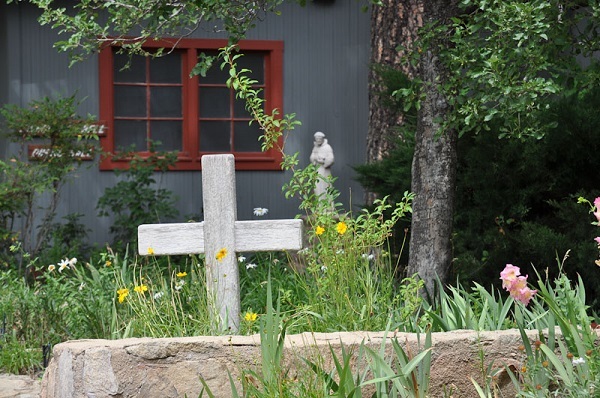 Situated on 20 acres of wooded land in Prescott, the center is open year round. Tall Ponderosa pine trees, oaks, elms and beautiful outcroppings of rocks characterize the rolling landscape of the center. Each attendee will have a private room (with hotel-style linen service beds) and private bathroom. A professional cooking staff operates the main kitchen and dining hall. Jill and her husband live in Colorado. She is a Christian Speaker, Retreat Leader, Prayer Minister, and mentor of women. She attends Christ Our Hope Anglican Church in Fort Collins, Colorado. Jill has served on the Board of NEWIM for many years and is currently the chair. Deanna is on staff at Connect Church in Mesa, AZ and has served in the areas of worship and finance. She is a singer, songwriter, musician who has a passion for worship and has served as worship leader at many women’s conferences and retreats in CA and around the western U.S.
Tracy works as an administrator in a Christian law firm and is part of the leadership of Connect Church in Mesa, AZ. She is a gifted teacher and has a passion for prayer. Tracy and her husband have two grown sons, a beautiful daughter-in-law, and a granddaughter who is the delight of their lives. Mary works as the office administrator and music teacher for Mesa Christian Academy. She and her husband, along with their two daughters, attend Connect Church in Mesa, AZ, where Mary has served on the office staff and in the areas of worship and women’s ministry. Kim is a Certified Christian Life Coach and Biblical Counselor. She has a passion to help and walk alongside women in relationship with men who struggle with sexual integrity issues. She is a native Californian, living with her husband of 33 years in Clovis. They have three grown children who found three wonderful children-in-law to add to the family. Her greatest joy is spending time with her two granddaughters. Cost is $259; includes 2 nights and 5 meals. You may hold your place with a $40 deposit; balance due three weeks prior to start of retreat. I have a plaque in my hallway that says, “Make time for quiet moments, as God whispers, and the world is loud.” And this modern world we live in is loud. While Thoreau reflected in the 19th century “the mass of men lead lives of quiet desperation," James Thurber countered that famous quote by quipping, “Nowadays, most men lead lives of noisy desperation." Sound is always on, always there, and this constant noise stresses my body -- mentally, physically and spiritually. I remember, as a child, laying on my back, all alone, watching the sky. There was no sound other than nature while I studied the clouds, looking for shapes and patterns. While I lay there, my mind was free to wander, reflecting on anything and everything. I also remember my dad often sitting in silence in his big easy chair staring off into space. Maybe that’s where some of his wise sayings percolated in his mind. In today’s modern world, we are virtually bombarded 24/7 by “noise." You can't even pump gas without clips of news, entertainment and advertising before your eyes and ears. And it’s not just “sonic” noise—what hits our ears—but also mental “noise”—what comes from constant brain stimulation. Through our smartphones and other devices, we have endless access to a virtual world that demands our attention. When constant noise becomes the status quo, we become less than we could be. “Silence is the sleep that nourishes wisdom.”—Francis Bacon. “We need it [silence] greatly, in a world that is often too noisy, that does not favor meditation or listening to the voice of God.” —Pope Benedict XVI. If you list all the benefits of silence and meditation, you’d find that, among other things, by introducing a little silence into your life, you will become healthier, wiser, more discerning, lead a more peaceful life, and learn to know God. Barbara Nurmi, former Californian, resides now in Geneseo where she’s enjoying grandchildren, gardening and small town life. Published in the Moline (Illinois) Dispatch / Argus newspaper on September 19, 2017.